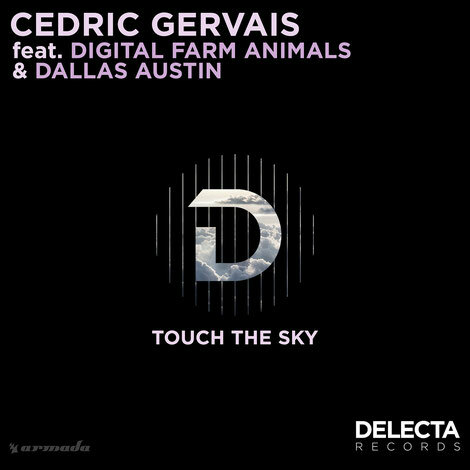 Since kicking off his own imprint, Delecta Records, in March 2016, Cedric Gervais has been indulging clubbers with quite a few tracks. Recently, he further embellishes that list with ‘Touch The Sky’, featuring Digital Farm Animals and Dallas Austin that saw its release at the tail end of last week. Cedric has possibly been one of dance music’s luminaries for over 15 years. He scored a Grammy in 2013 with his remix of Lana Del Rey’s ‘Summertime Sadness’, sold multi-platinum with several singles and is apparently a frequent fixture in the Top 10s of charts in the U.S. (Billboard), the U.K. (U.K. Singles chart) and Australia (ARIA). His before-mentioned remix of ‘Summertime Sadness’ racked up over 200 million streams on Spotify alone and ‘Would I Lie To You’, his recent collaboration with David Guetta and Chris Willis, has 61 million streams on the streaming service. Born Nick Gale, Digital Farm Animals is possibly one of the planet’s hottest new artists. Between summer jam ‘Millionaire’ (with Cash Cash and Nelly), recent tracks ‘Only One’ and ‘Digital Love’, and working names such as Dua Lipa, Galantis, Hailee Steinfeld, Will.I.Am, Noah Cyrus and Louis Tomlinson, he has netted over a billion streams in total. Having already toured with The Chainsmokers and Marshmello in 2017 alone, the future is looking decent. Dallas Austin, who also features on the track, is an accomplished songwriter and producer who’s worked with a host of recording artists, including Michael Jackson, Madonna, TLC, Monica, Rihanna, Kanye West, Boyz II Men, P!NK and Gwen Stefani. One of his biggest accomplishments to date is winning a Grammy for Best R&B album at the 42nd Annual Grammy Awards.